Visit [email protected] Corvettes's homepage! Really nice looking seats! I tried sitting in a buddies C6 Z06 with a set of Caravaggio seats and sadly I couldn't fit in his car. I'm 6'6" so finding aftermarket seats that would allow me to sit comfortably and wear a helmet is a major struggle. WOW....those look amazing!! ON MY LIST! Do you have some info on the seats such as weight and will the bolt directly to the stock seat rails? And of course, how much for a set? Can I get this info as well ? 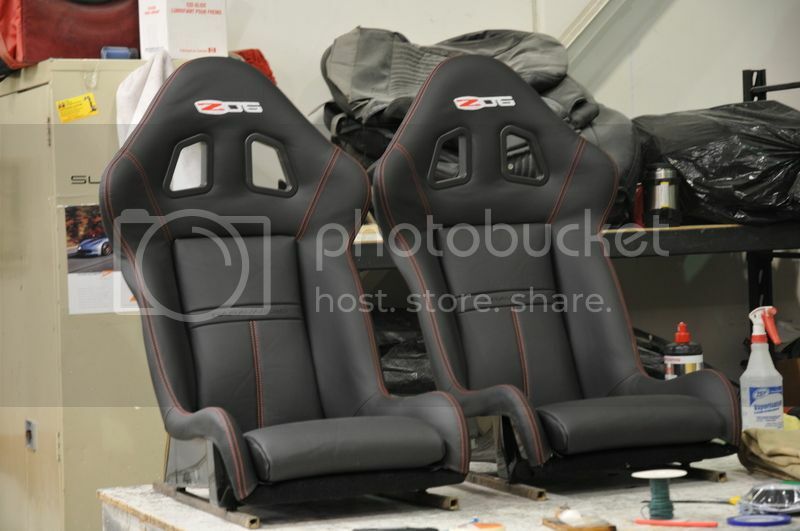 Seats look great, can/will you change the stitching color, do they fit the stock mounting location, I have drivers auto seat only?, price and lead time please. I'd appreciate that info as well. Please PM me details on fitment, price and turnaround. 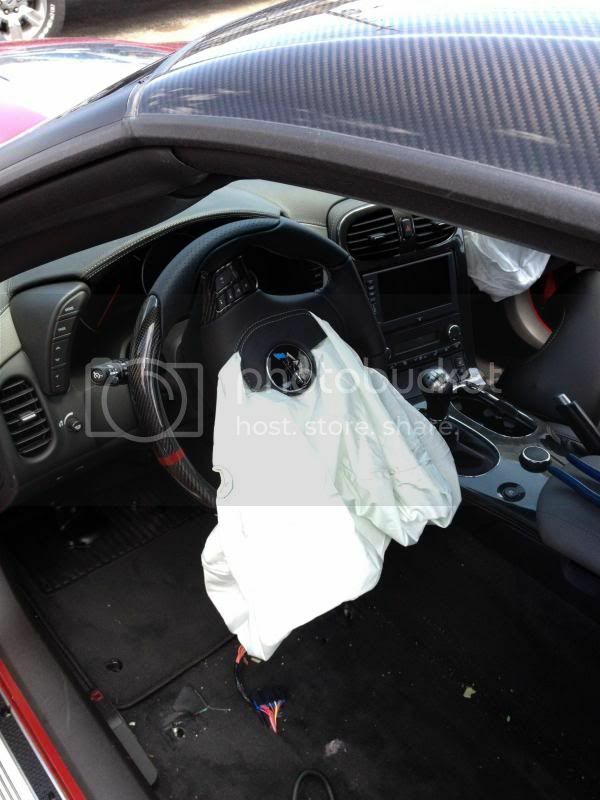 Question, when you disconnect the airbag in the seat, can you confirm that the airbag in the steering wheel continues to work? Are they any issues with that? I know that there is an airbag connector plug for the disconnected seat airbag connector. This gets rid of the light, but is there any confirmation that this doesn't affect the steering wheel airbag? Here you go, this car had Daytona seats that still uses the same connector as the one used on the race seats. Last edited by [email protected] Corvettes; 10-20-2016 at 03:52 PM. Pm me as well please. Do you have the dimensions of the seats?